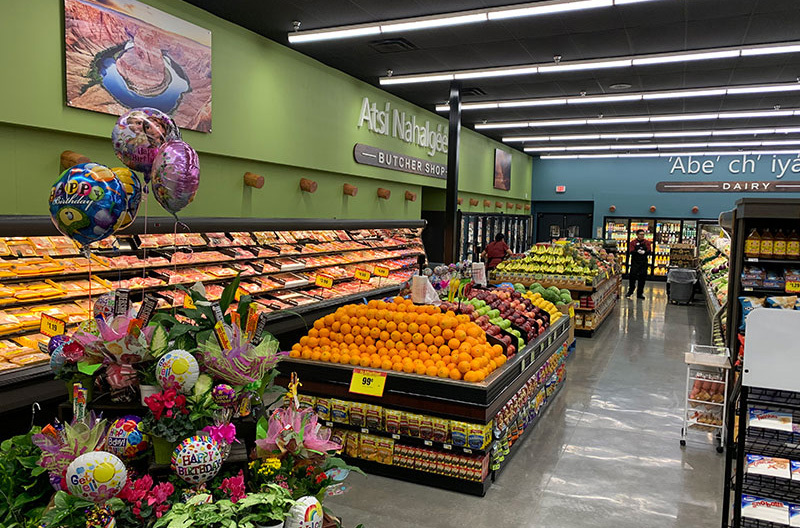 The new Bashas’ Diné Market in Sanders, Arizona, is the grocer’s first new-build store since 2009. A special grand opening celebration was held Wednesday, April 3. Representatives of the Navajo Nation, members of the Na’Ha’Ta Dzill Commission and members of the Basha family were on hand for the grand opening ceremony. The Na’Ha’Ta Dzill Veterans Organization posted the colors at the event. Guest speakers also included President of the Navajo Nation Jonathan Nez, and VP Myron Lizer. The festivities concluded with a ceremonial ribbon cutting. Immediately following the ceremony, members of the community enjoyed a complimentary lunch prepared onsite in the Diné Market kitchen. The celebration continued throughout the day with a wide variety of healthy sampling and product demonstrations throughout the store. Ample restrooms to accommodate shoppers, as well as a steady flow of highway traffic. Bashas’ Diné Market is located at the northwest corner of the intersection of I-40 and Apache County Road 7080. Bashas’ is one of very few non-Native-American retailers with stores on the Navajo Nation; the Sanders store is the eighth reservation store. Since opening its first Diné Market in 1982, Bashas’ has been a collaborative member of the Navajo Nation, supporting education, nutrition, art, health and wellness through community programs and partnerships. At least 95 percent of the store members (employees) at Bashas’ Diné Markets are Native American, and each store location gives back a percentage of its profits to the Navajo Nation. Bashas’ also operates three other stores on other Native American reservations across Arizona. Bashas’ Family of Stores is an Arizona-based family-owned grocer that operates Food City, AJ’s Fine Foods, Eddie’s Country Store, and both Bashas’ and Bashas’ Diné supermarkets. 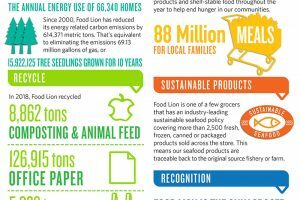 The company was founded by brothers Ike and Eddie Basha Sr. With more than 100 grocery stores, it is one of the largest employers in the state and one of the Best Places to Work in Arizona. Since the company’s inception in 1932, Bashas’ has given back more than $100 million to the communities it serves.